5MC ~~ Laugh | Only at His Feet! 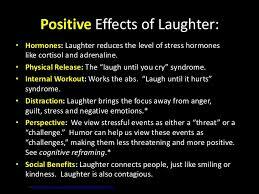 There used to be a section in the Reader’s Digest (just dated myself and I was just a kid then) that was called ‘Laughter is a Good Medicine’. It had a bunch of short stories that poked fun at every day life and every day people. We don’t do that often enough any more. Several years ago, my sisters and I went on a road trip and you would have thought we hadn’t seen each other in years. We talked and sang, reminisced and laughed our way to our destination. Nothing better than that! We shared memories and made memories. The best part of it all was laughing with the two people I grew up with. Seeing them in a new light. Loving them even more! Laughter cures a host of ills. But I think what it does most importantly is allow us to be children again. We can – not worry, not sweat – about our STUFF and just laugh. At ourselves and each other. Try it ~~ it’s a lot of fun!